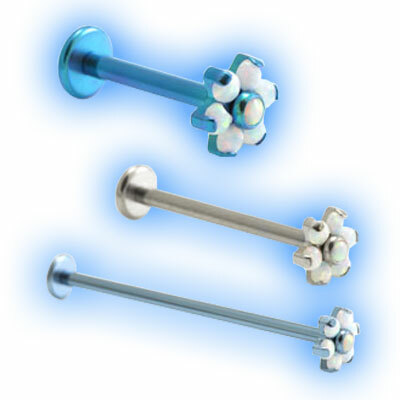 These 1.2mm micro bars are can be worn in many different piercings, they are made out of Medical Grade 23 Titanium and internally threaded (which means that the disc and flower have a thread which is screwed into the hole in the barbell). Internally threaded jewellery is very popular because it is easy to insert into piercings and less likely to cause any irritation when fitted because the whole bar is smooth. The bar is 1.2mm (16 gauge) in thickness and available in 6mm, 7mm, 8mm, 9mm, 10mm, 12mm or 14mm in length so can be worn in many different piercings.